As human beings, we often experience conflicts of one sort or another. 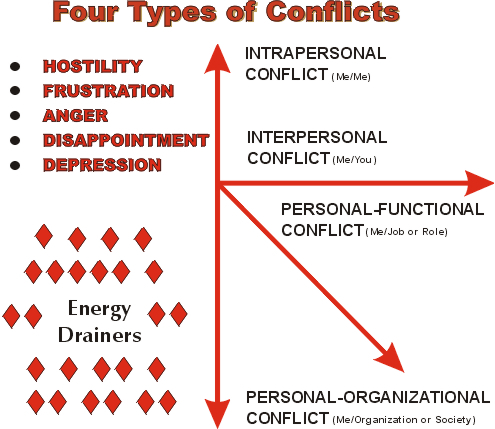 Conflicts may arise out of differences in behavioral styles, values, attitudes and/or relationships with individuals and organizations. These conflicts all have one thing in common: They cause us to expend energy in nonproductive ways and are a drain on our resources. 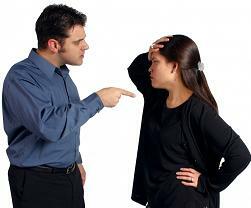 The first step toward reducing or eliminating conflict is to identify the nature of the source of conflict. The model below will help you visualize with whom or what you are having the conflict—yourself, another individual, job/role behavior expectations, or the organization within which you are operating. Catalyst Performance Systems employs numerous coaching processes and assessments to help both individuals and organizations identify and deal with the conflicts that are inevitable in today’s high-pressure environments. If you would like to explore how our assessment tools and coaching processes can help you and your team develop more effective responses to the conflicts you face, give us a call at 410-499-0516.